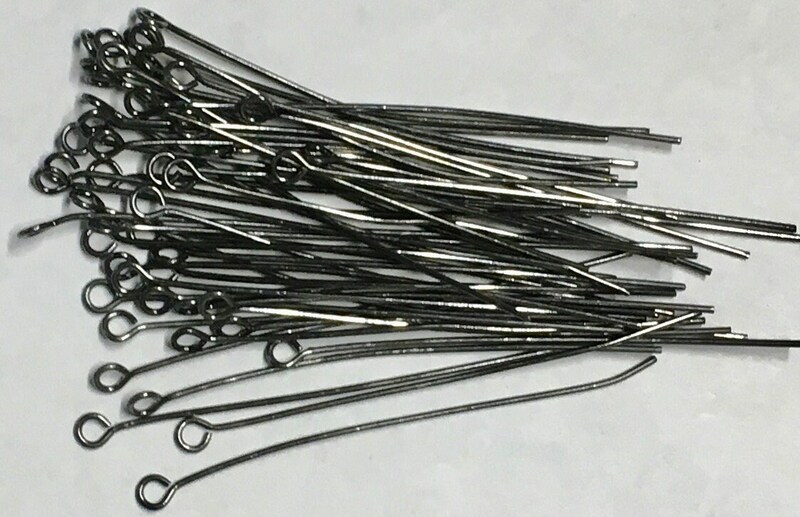 2" Eye pins, Gunmetal plated brass, sturdy 22 gauge. The "eye" of the head pin measures 3mm. You will receive 50 eye pins. Made in the USA. A jewelry maker's necessity! These are exactly what I needed!